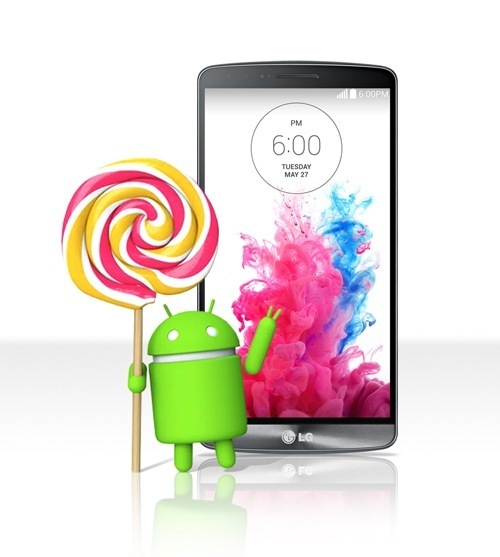 LG announced yesterday that it will be rolling out the official Android 5.0 for LG G3 this week. The first release will happen in Poland followed by other regions in near future. However, if you also belong to those other regions or cannot wait for these few days to get official Android 5.0 Lollipop for LG G3, here is how to update LG G3 to Android 5.0 the easy and quick way! LG is all set and has already claimed to become the FIRST manufacturer to release Android 5.0 Lollipop to LG G3, it’s flagship smartphone. It is trying to beat even the earlier expected OEMs like Motorola and of course the Google. It is yet to see when is this beloved update actually reaching to the devices which might take a few days making the release come after Nexus 6 on November 12th. In any case if you are itching to update LG G3 to Android 5.0 Lollipop without having to wait for the official update, it is now possible. You can download LG G3 Android 5.0 Lollipop from here and update your device to the latest firmware. However, beware that this a custom build and is not very polished. Only try it if you are feeling quite adventurous and have a previous history of playing with devices. We will still recommend you to wait for the official update, however, we know it can be hard when it comes to trying new updates. It is also unknown as yet when would the non-Polish users of LG G3 get the Android 5.0 Lollipop. Make sure you create a complete backup of your device before proceeding to flash this Android 5.0 Lollipop build on your flagship LG G3. You can also watch the video of Lollipop running on LG G3 on the link shared above. Don’t forget to let us know how this firmware works on your device and its performance on your flagship smartphone.